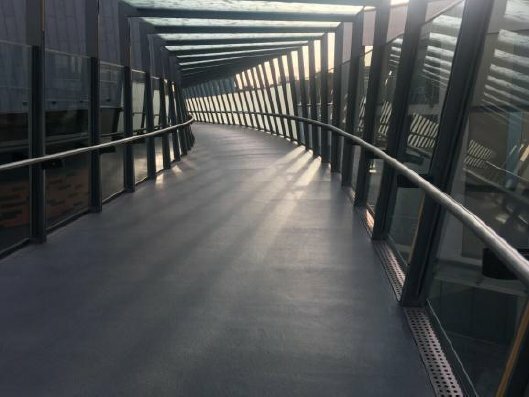 The existing coating in the Link Bridge over Temple Way, Bristol, had become worn and ineffective. 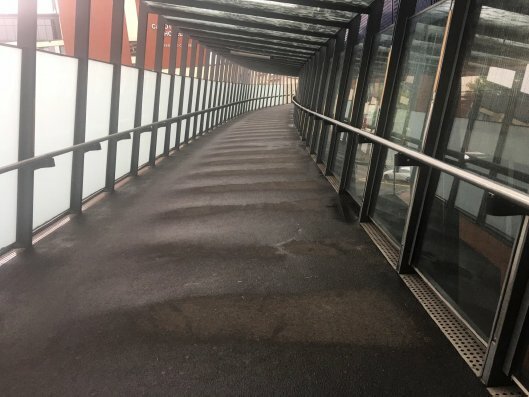 As this is the main thoroughfare between the multi-storey car park and Cabot Circus Shopping Centre, the works were time sensitive and noise, vibration and odours all had to be kept to a minimum. 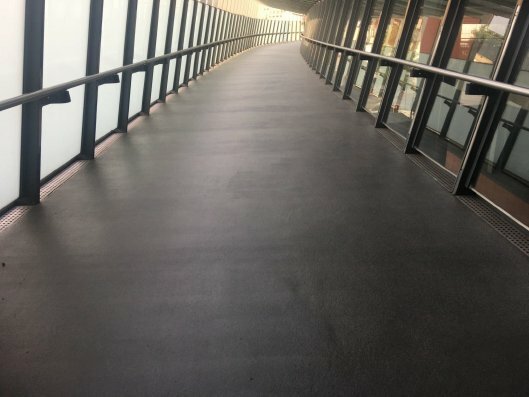 CPC removed the failing system and installed a heavy-duty, fast-curing, Deckmaster slip resistant decorative system and issued a 10-year, insurance-backed, guarantee.